South Broad Street looking towards City Hall. Title: South Broad Street looking towards City Hall. Additional Title: An October Afternoon. The Skyscrapers from South Broad Street. 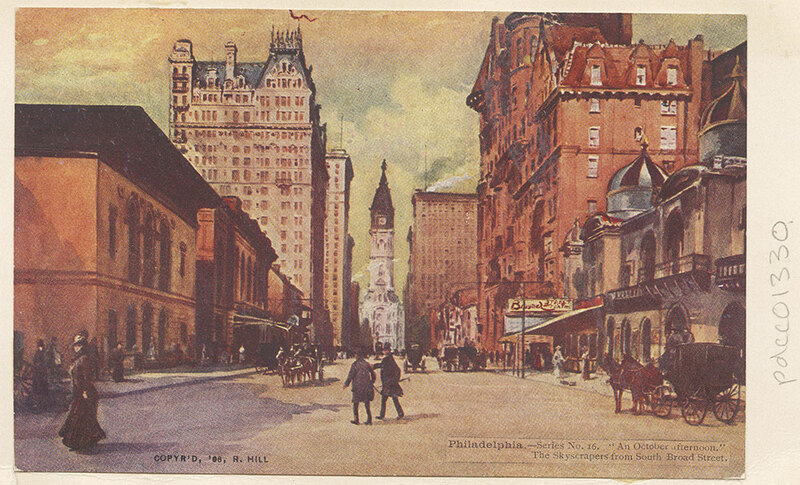 A photomechanical color print of a painting showing South Broad Street.